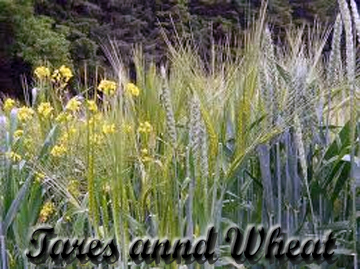 At the ripe old age of forty, all the citizens of the Safe Lands are “liberated”, sent by their government into Bliss. No one is certain what, exactly, that means, but Omar and Mason are about to find out. “Find pleasure in Bliss,” the liberator says, but it won’t be easy. Meanwhile, in the Safe Lands, the subversion of the Glenrock exiles and the separatist Kindred continues. 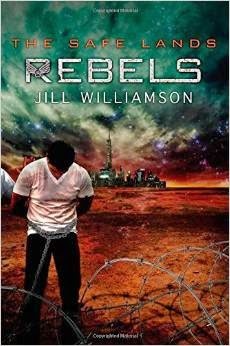 Rebels is the final book of the Safe Lands Trilogy, written by Jill Williamson. This dystopian series, set fifty years and more into the future, is intended for teens but suited for older audiences, though not necessarily younger ones. Williamson deals with heavy themes, such as addiction, temptation, and promiscuity. As the last book in its series, Rebels delivers on the promises of the preceding books, unveiling long-maintained mysteries and bringing character arcs to realistic and satisfying conclusions. I thought Williamson showed very good judgment about what, in the story, needed to be solved or answered, and what could be left open. Not everything was absolutely concluded, but the story ended with a sense of completion. It’s a fine line for an author between a story that feels unresolved and a story that feels like it goes on after the book is closed, but Williamson managed to walk it. There were some twists in this book. I liked the surprise role of Luella Flynn, and the idea of the truth as the “lynchpin”. The truth is dangerous to a society built on lies. However – and I need to turn on my SPOILER ALERT here – I thought it strange that such a controlling government did so little to keep the truth from coming out. Could no one think to cut the power to the ColorCast? I also think Rebels would have done a better job of selling the downfall of the Safe Lands government if it had evoked more powerfully a sense of chaos in the city. 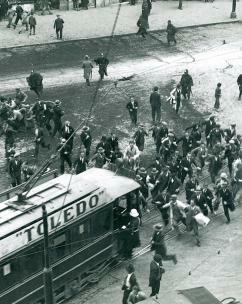 It mentioned riots – but only briefly, and only after the climax was over. If our heroes had confronted the Ancients while the city was engulfed in riots, it would have made the rulers’ capitulation more believable, and the story itself more exciting. The level of typos in this book was, for a professionally produced book, high; I don’t know if the publisher had a too-tight deadline or a shortage of copyeditors, but I suspect the problem goes beyond this particular novel. I noticed errors in the last book I read by this publisher, though notably fewer. Rebels is a strong conclusion to the Safe Lands Trilogy, bringing the characters to complex, realistic fates and completing the Safe Lands as a convincing, chilling dystopia. Recommended, with its preceding books, to readers of sci-fi and dystopian. Today we begin the CSFF blog tour of … wait a minute, it’s in my notes … Rebels. Yes, that’s it: Rebels, by Jill Williamson. So here are the books of the Safe Lands Trilogy, in order and all with their correct titles: Captives, Outcasts, and Rebels. After touring Captives and Outcasts, we will now conclude our review of the trilogy with this week’s tour of Rebels. The back cover of Captives declares it “Teen Fiction”. I would need to think about that. My fourteen-year-old sister showed interest in this book, after she saw me reading it; I warned her off it. Though discreetly handled, the drug addiction and sensual indulgence were more than I felt comfortable with her reading; nor was I sure that this is the time to initiate an exploration of how pregnancies can be created via medical procedures. There are things in Captives that some parents would reject for their teens, too-vivid pictures of sin that innocence doesn’t need. Yet I can see how the morals and themes of the novel are suited for young adults more than anyone else – older teens, maybe younger twenties. 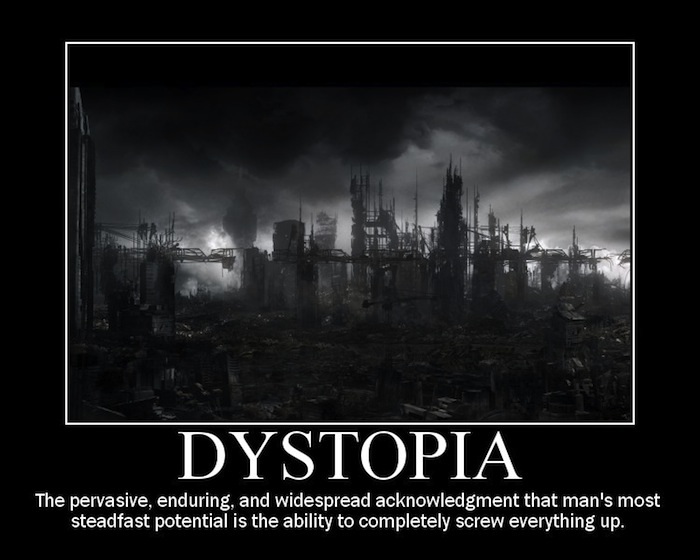 For, you see, the dual worlds of this dystopia are not too unlike the dual worlds of our present time. 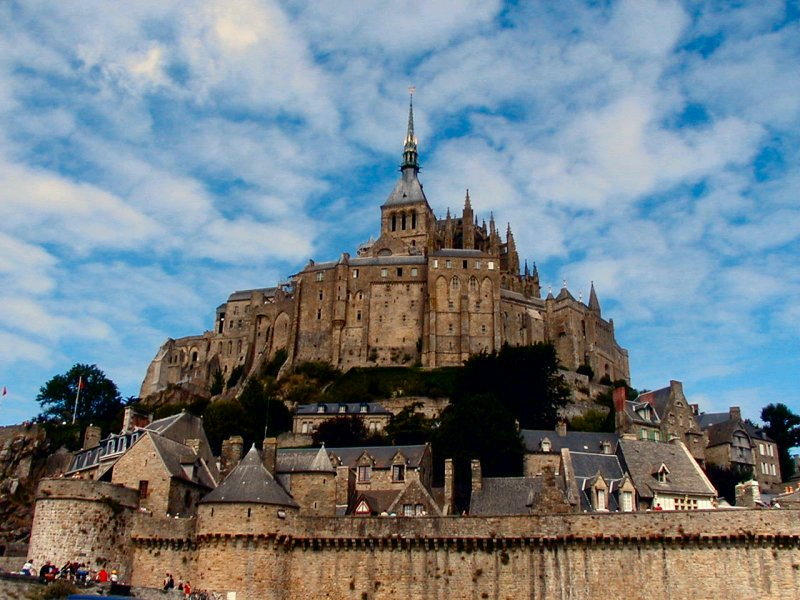 The world is not as dissolute or libertine as the Safe Lands; the Christian community is not as strict or isolated as Glenrock. Yet the parallels may be drawn long. The Christian community, like Glenrock, has a sternness – you could almost say a harshness – that stands against the looseness of worldly ways. “Take the straight and narrow path, or you’ll go to hell;” “Don’t do that, don’t go there, don’t even think about that.” A Christian is called by the unyielding will and holiness of God to a web of commands and duties. And the young, brought up in that web and looking out, see the world – all awhirl, glittering with lights and flashing with colors. It promises all you could ever want. So the Safe Lands were to Mia and Omar, and they believed the promise. But as the whole book shows, the beauty of the world is shallow, and beneath the foam of pleasure is an ocean of despair. The lessons of Captives – how one can be corrupted by bad company, how the small falls make the large ones easy, how deceptive the world’s seduction is – are good for anyone, but best for those who are facing the temptation of the world for the first time. There are teens who could be invaluably instructed by this book. But it must be said, there are other ways to learn the same lessons, and some of the scenes are gritty. Whether Captives is indeed “Teen Fiction” is a question I give up to discretion and authority of the parents. 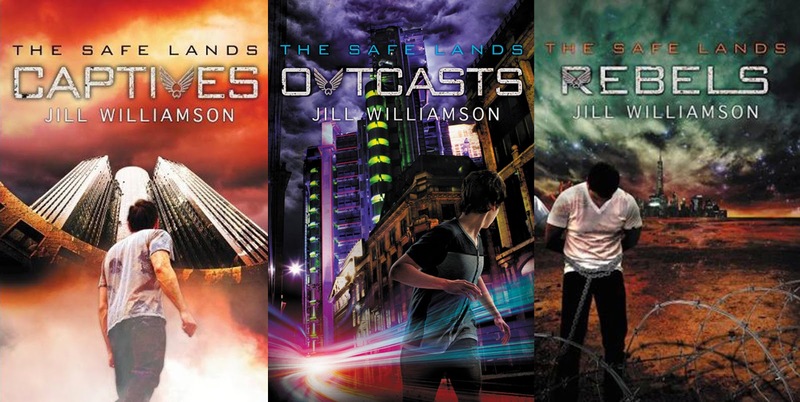 Captives – written by Jill Williamson – is a dystopian novel that takes place in the year 2088. There are some hints of what destroyed our present world – pandemics, the pollution of the earth’s water – but the main focus is on the fractured world that replaced it. Glenrock and its nearby villages are juxtaposed against the Safe Lands, with a few tantalizing mentions thrown toward places such as Denver City and Wyoming. Although always well-done, there were times I did not enjoy Captives. The ‘grit’ – the sin, the temptation, the dissolution – wore on me. There was an excellent moral in watching a neglected teenager fall into bad company and a drug habit, but it was no fun. I am not sure the story needed every bit of grit it had; I know I didn’t. At one point in the story, one of the outsiders said that the Safe Lands were “both fascinating and discouraging”. So was Captives, to a large extent. I’m still interested in the series – I’m hoping that, having set up the libertine dissolution of the Safe Lands, it will move on a bit – and it is fascinating. Captives is a phenomenally well-crafted dystopia, guided by Christian spiritual understanding and with enough sympathetic characters* to add human interest to the dystopian intrigue. Take under advisement. The links to other reviewers are at the bottom of my last post. Captives is marked as teen fiction – a label I will have something to say about tomorrow, but not today. I’ve already said plenty today. [minor spoilers] * Like Omar and Mason and Shaylinn and Ciddah, but not Levi. He was kind of a jerk sometimes, especially when he was told that a woman’s baby was going to be taken away and Mr. Compassion responded: “Not my problem.” I hated that.